They are fun, modern designs, easy to use and can really take you places in the forest ! 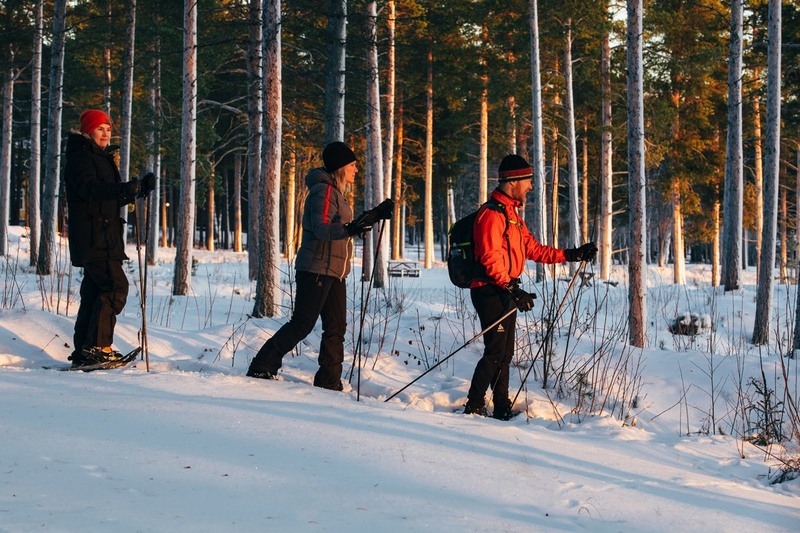 Let us arrange an exclusive 3-hour snowshoe tour that showcases the beautiful archipelago in winter. Your guide will lead you through a frozen forest by the Luleå meal such as reindeer, meat soup or local sausage and Sami bread with coffee or spiced wine. If you’re lucky on the evening tour, you´ll have the chance to see the northern lights. What’s included? Snow shoes, poles and lunch or dinner.